I saw Mr. Arun Kumar Sharma for first in the conference hall of the Hiuen Tsang Resort in Sirpur. Looking at him I would have guessed that he must be in his sixties. 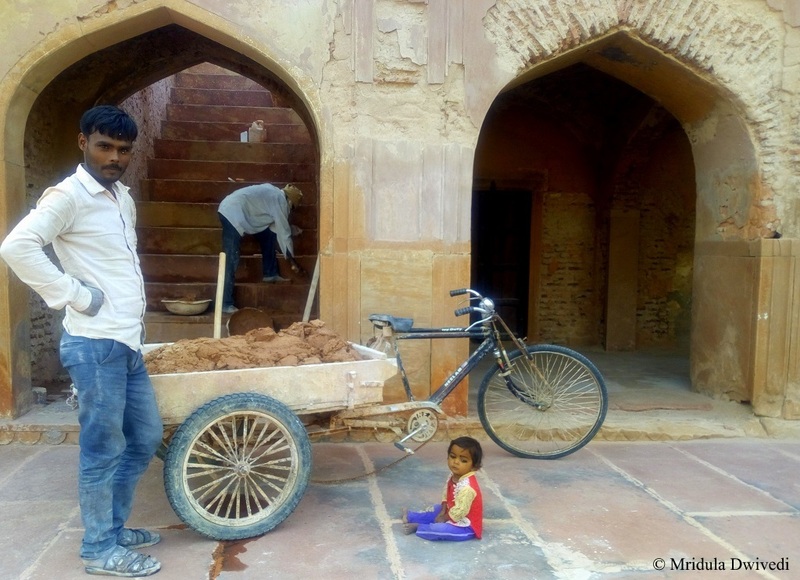 When the MD Chhattisgarh Tourism, Mr. Santosh Misra, introduced him as the excavator of Sirpur, he added that Mr. Sharma was in his 80s. You can see him climbing down the Suranj Tila’s crooked stairs unaided! How I admired him! He is a man with stories and there are stories about him! 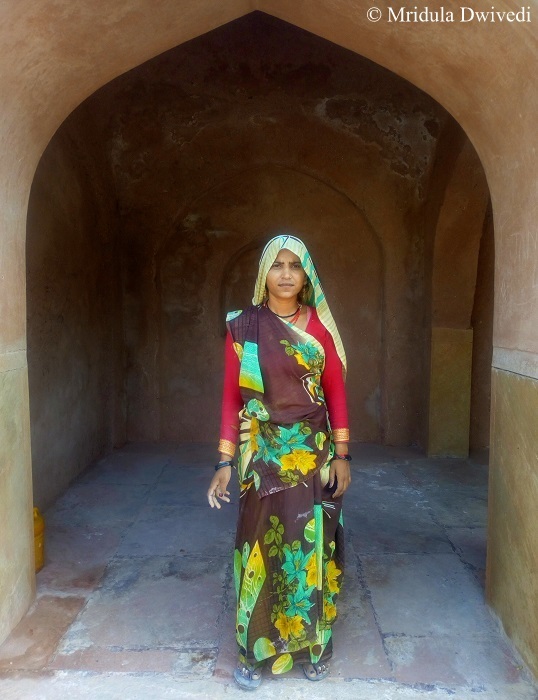 We were extremely lucky to be shown around Sirpur by Mr. Sharma himself. 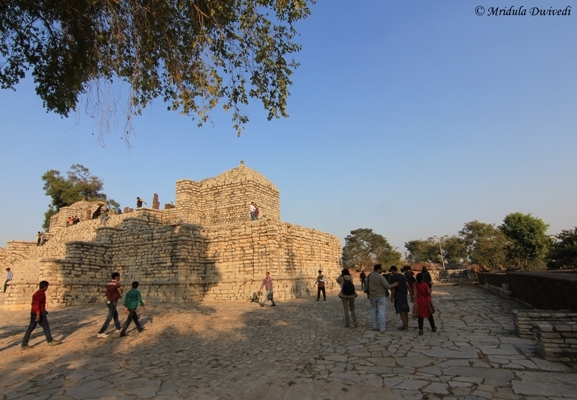 Sirpur is said to be mentioned in the documents as old as 5th century AD. However, it is surmised that the town was buried in a powerful earthquake in 12 century AD. The town is situated on the banks of Mahanadi and the excavations reveal that it was a well planned city in the ancient times. One of the most important monument is the Lakshman Temple discovered in 1872 by Lord Cunningham. 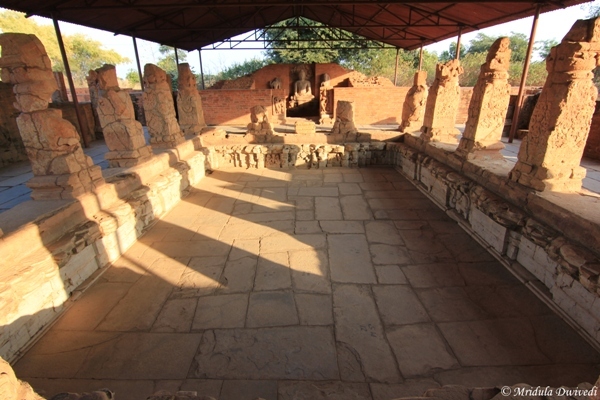 Tantrik Mandir is a part of the Surang Tila Complex. 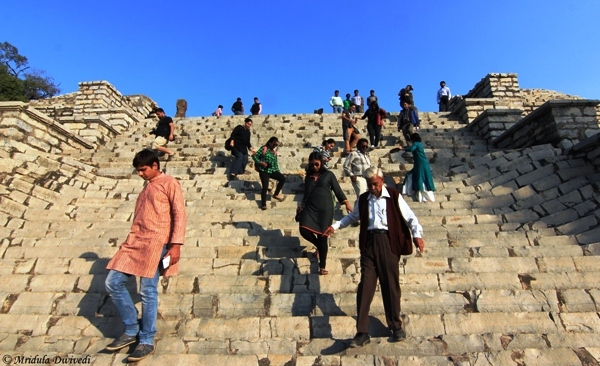 This is considered to be the second most important place after the Lakshman Temple. This temple is devoted to Lord Shiva. 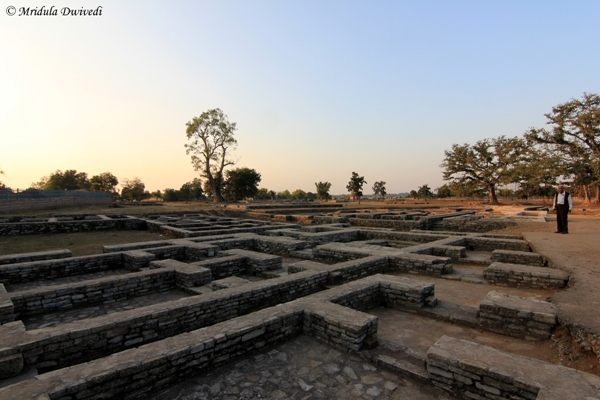 Sirpur is also prominent for its discoveries of the remains the Buddha and Jain monuments. These complexes have statues of Buddha, residential complexes for monks and nuns and rich carving on the walls. I sincerely wished that the modern looking sheet was absent from this Buddha Vihar but then I also understand that protecting the heritage comes first. You can gauge the importance of the discoveries by the fact that the Dalai Lama visited Sirpur in 2014. Close to the bank of Mahanadi are the remains of the grand market place which was probably a grain, iron and metals market. The proximity to the river hints at the existence of a port as well. 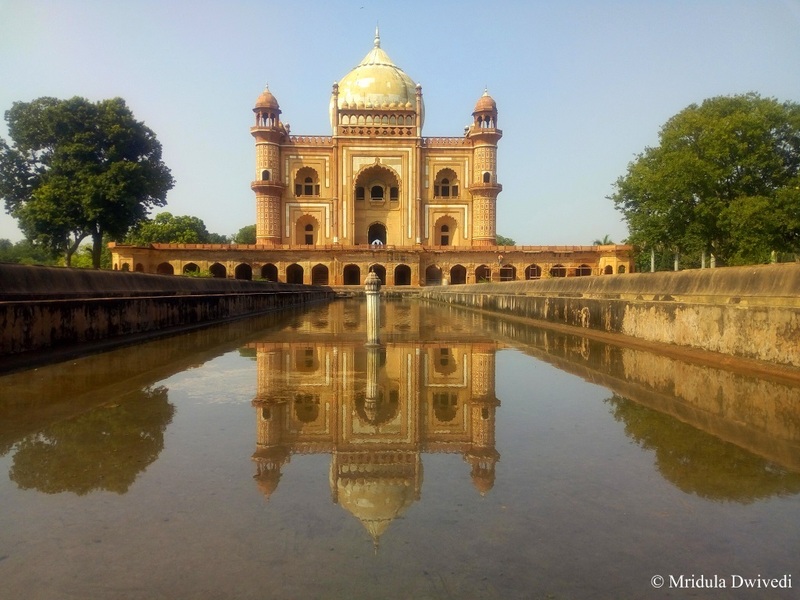 While walking along the huge place I was seriously trying to imagine how the place would at the peak of its glory, what would the traders talk about, what were their preoccupations? But then my imagination hardly supplies any answers to these questions! When I look at such ancient heritage as Sirpur it reminds me that there was life on this earth much before I was here and there would be life much after I am gone. It makes me feel quite insignificant, along all the hopes and worry that dominate my world. But it a strange way it is a comforting thought too. 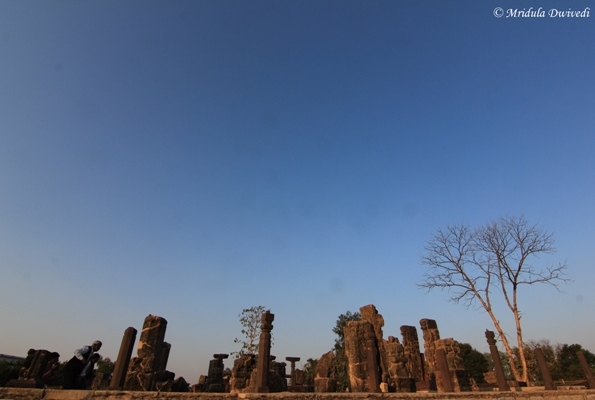 Sirpur is about 80 Kilometers from Raipur the capital of Chhattisgarh. A taxi is probably the most comfortable way to travel to Sirpur. There is only one accommodation at Sirpur- the Hieun Tsang resort of Chhattisgarh Tourism. 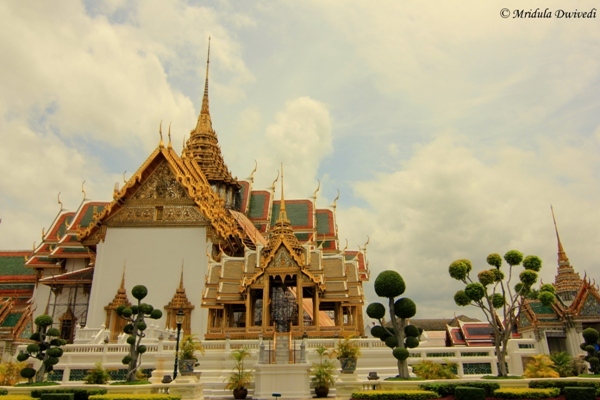 The Grand Palace Bangkok is a prime tourist attraction. The palace was built in about 1782. 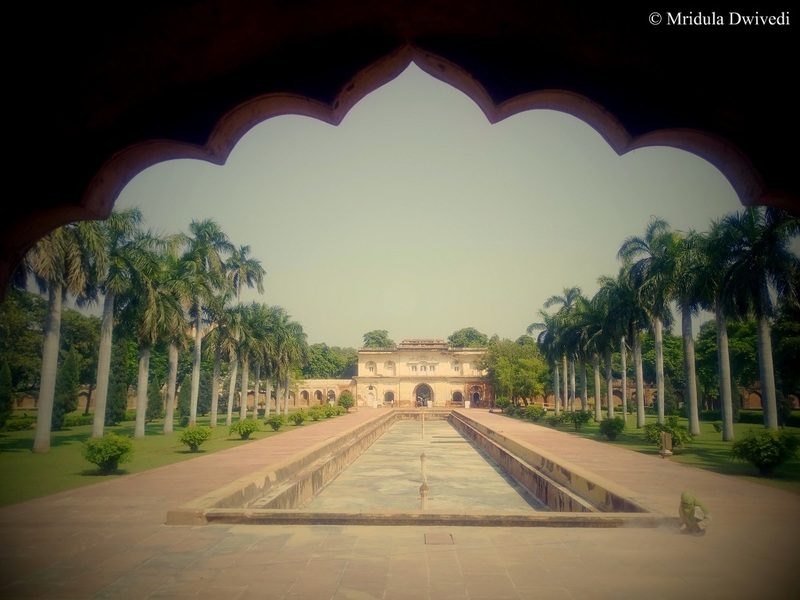 However the current king does not reside here, but the palace is used for royal functions. 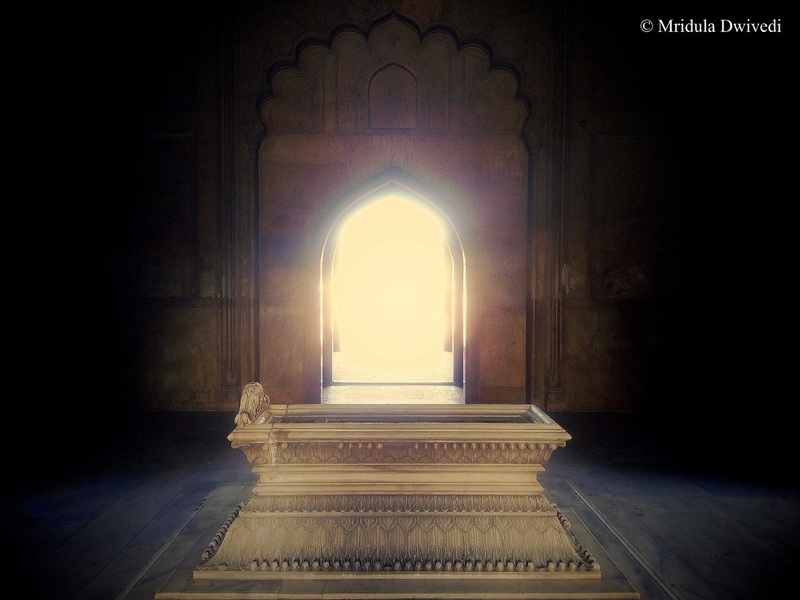 However, in this post I am going to give you the true insight into how I approach history and monuments! If I research the web, I can give you an educated account. But this piece is a good example of how I really write about history. Be warned! 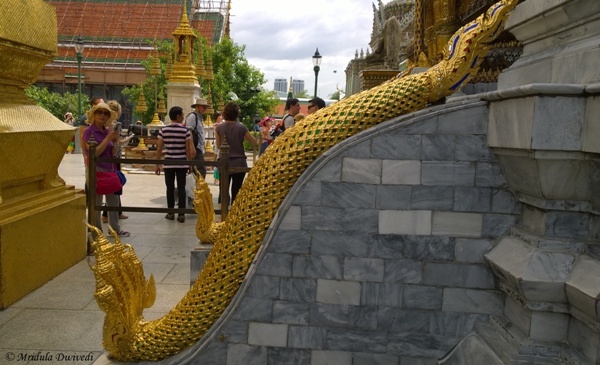 Our guide Joe was pointing out the similarities between Hindu mythology and the figures depicted in the Grand Palace Complex. 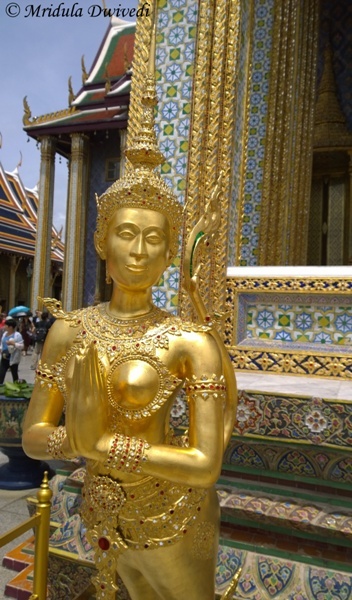 So, this was an Apsara and we who are familiar with Hindu mythology know what it means! I can’t exactly remember what convoluted explain was given to me about the nagas. I was told they were like dragon only they could not fly or something like that. I remarked that they look like snakes! And then my guide pointed out that they call them nagas too! of course we understand nagas but he pointed out rightly that the rest of the world didn’t! 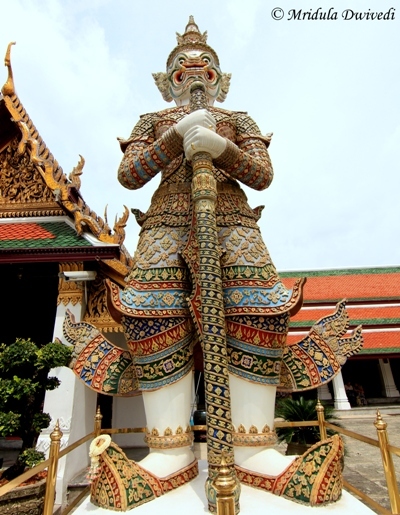 If you would ask me, the Yakshas are my favorite figures among all that I see in a Thai temples and palaces. They are the protectors of the place, standing tall right at the gates. And even though they look fierce they never really look scary, at least not to me! 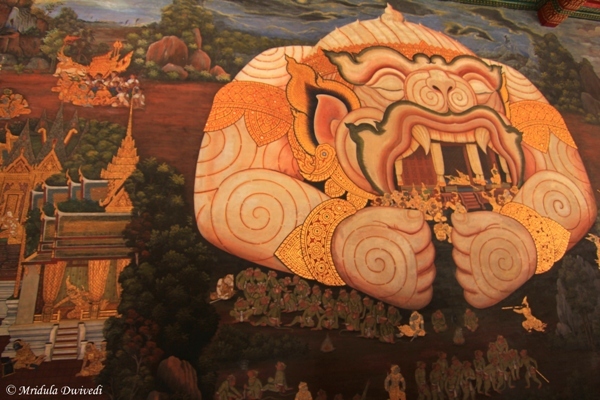 The walls of the Grand Palace depict grand murals both from Buddhism and Hinduism. If I remember correctly the Hindu murals are related to the Ramayana. Now I wonder why my mind develops a dense fog around historical details! I know there has to be a mythical story behind these guards. But guess what I liked them for? 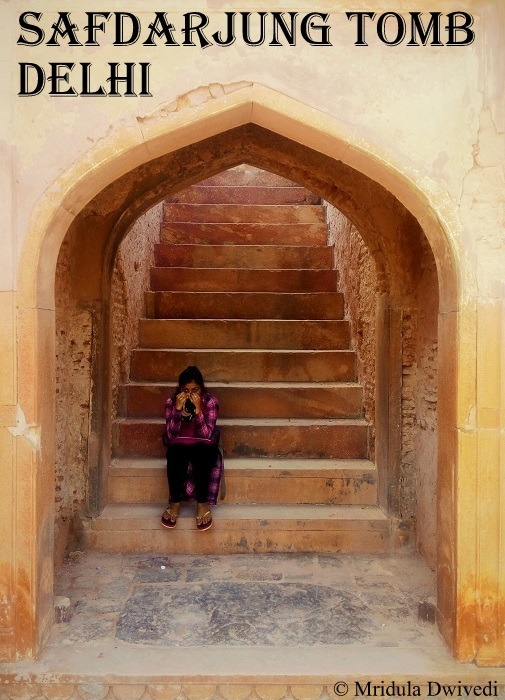 They make for an excellent spot for photography, whether you want to get clicked or simply click the scene. 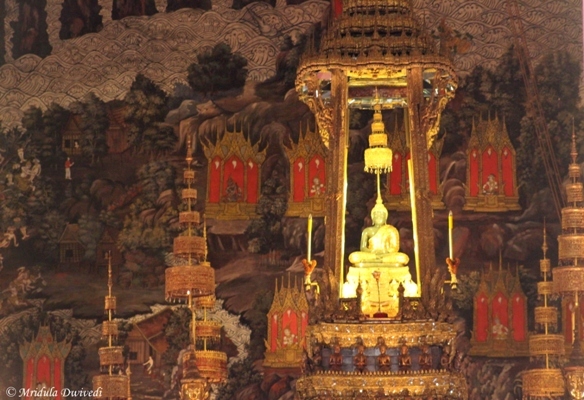 The Emerald Buddha is a magnificent site. You can not do photography in the main pavilion. So I took out my zoom and clicked this picture from a distance. The Buddha is wearing his autumn attire in this picture. The clothes are changed according to the season in a royal ceremony. I said before that I do not found the yakshas scary and I found there shoes positively cute. The color combination of green, blue and yellow looks so beautiful as well. 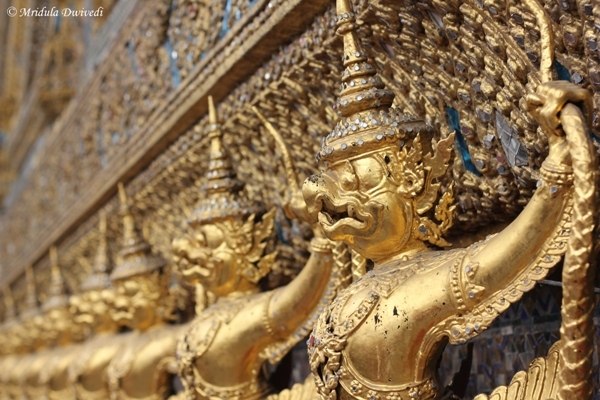 The Grand Palace is a collection of beautiful structures. It was quite difficult to get the scale in a single frame even after using a wide angle lens. 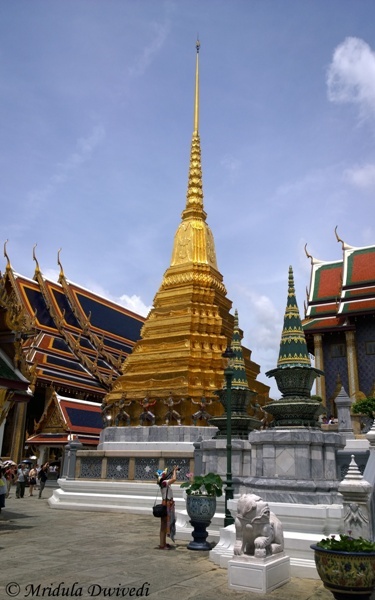 There are many golden pagodas within the complex. one of them is particularly huge. 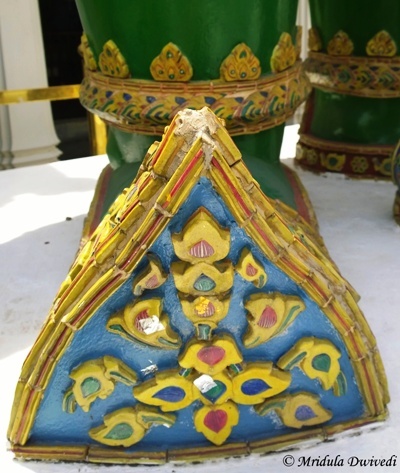 The smaller ones are said to contain the ashes of the royal ancestors. 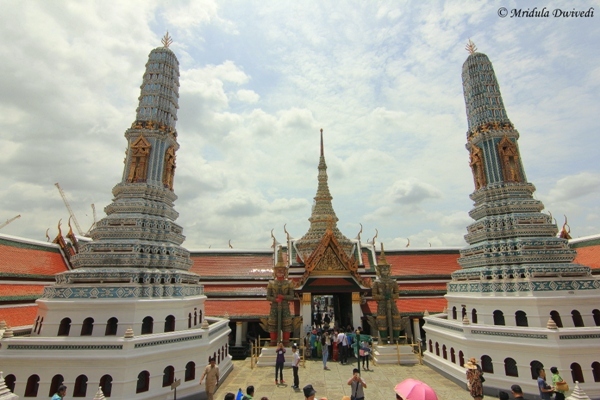 This is a partial view of the Grand Palace. I think the best view of the whole building is from the Chao Phraya river as it gives a bird eye view of the entire majestic structure. Now that you have slogged through the post, you can see why I do not readily write about monuments. I somehow gloss over all the details and remember only a small bit of everything I saw. Now give me a trek and I would remember everything! But even through my muddle account, you will have agree that it is a beautiful place!